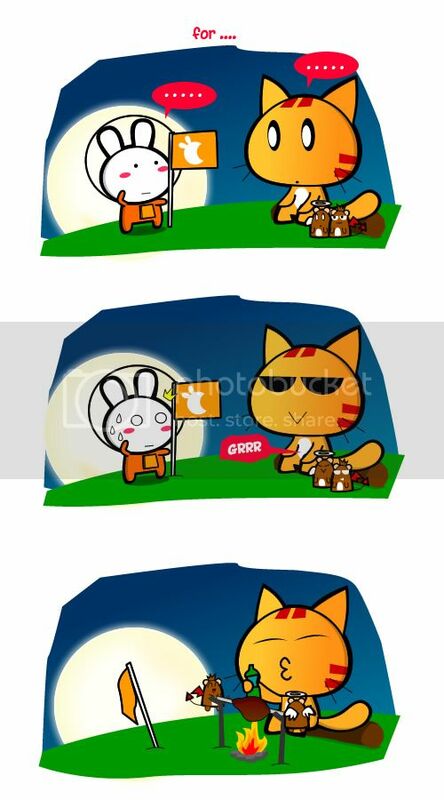 Miao & WafuPafu Comic Blog » Happy Mooncake Festival: A Visitor from Moon. Happy Mooncake Festival: A Visitor from Moon. Nevertheless, we would like to wish all of you a Happy Mid-Autumn Festival Day or Mooncake Festival Day!! No, there’s no holiday but its a weekend. So go out, eat all the mooncakes!! What??? You thought I ate the lebbit??!! 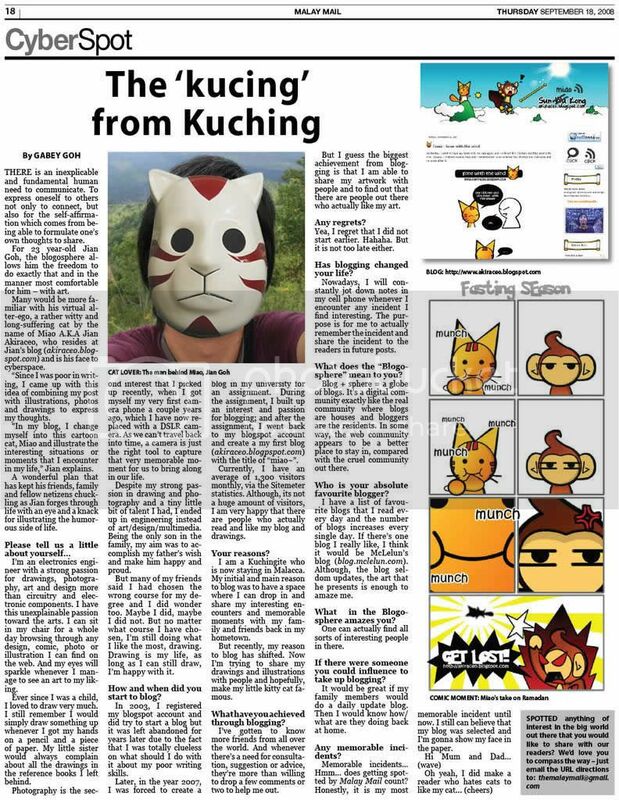 Posted on September 29, 2012 by Jian Akiraceo. This entry was posted in Festive Season and tagged mid autumn day, mid autumn festival, moon people, mooncake festival, Rabbit, space bunny, space rabbit. Bookmark the permalink. So what are you barbecuing!! 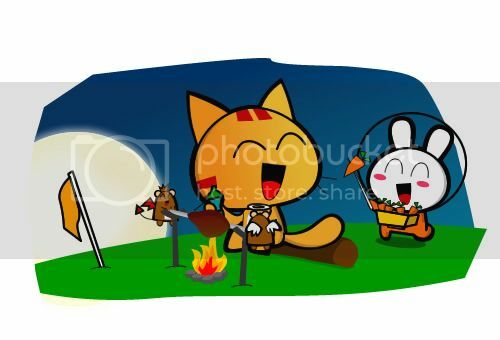 Miao should eat fish ler, not rabbit. Happy Mooncake festival to you too. 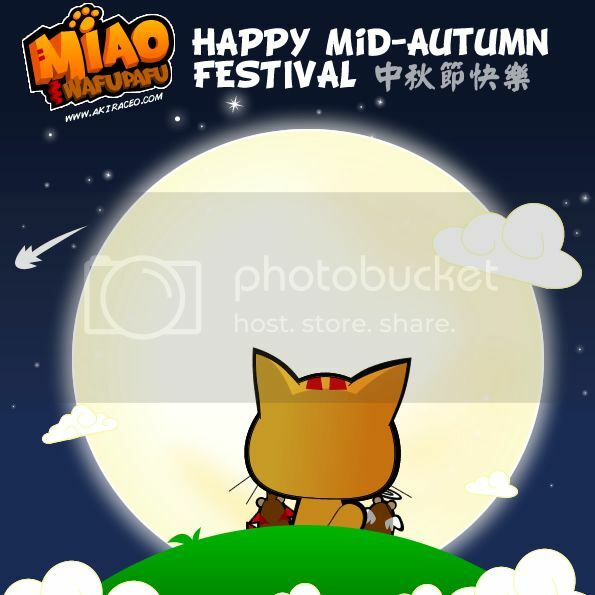 Next year make Miau&WafuPafu lantern! haha damn! i really tot u BBQ the lebbit! LOL and you want it to be eaten? If really BBQ rabbit, I pengsans! wahhh O_O 12 and got kidney failure. everyday eat izit? anyway i really love your new blog header ^^..